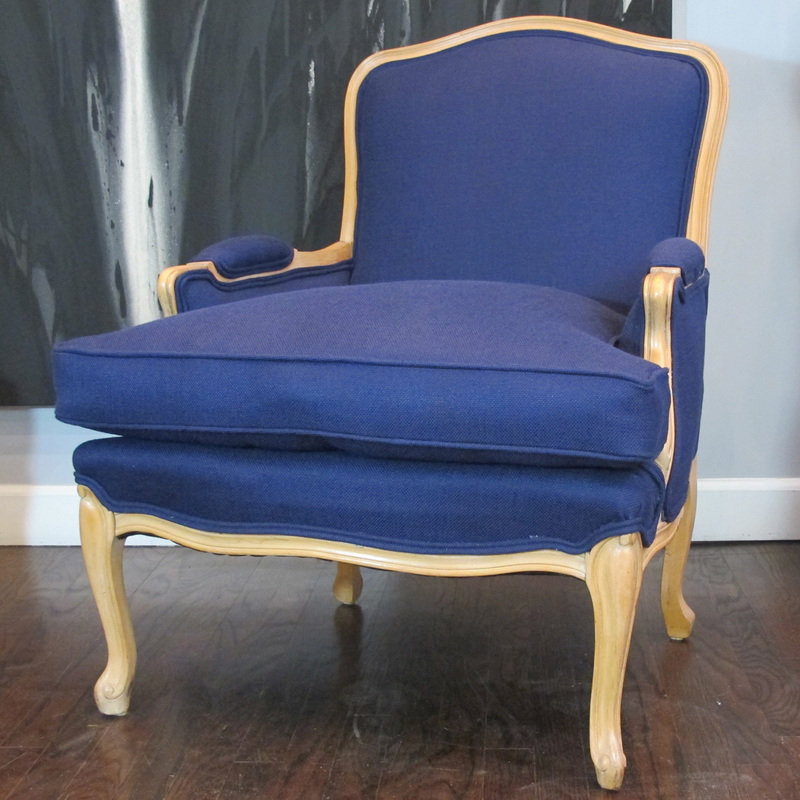 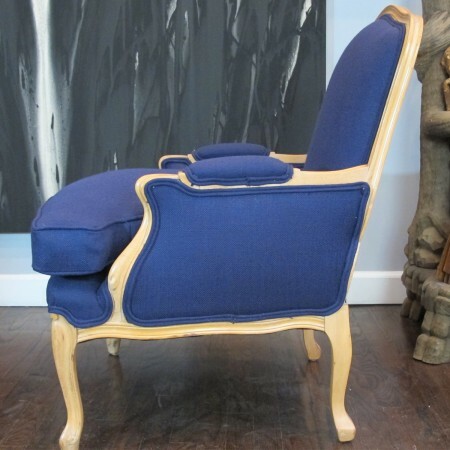 White pine bergere, newly recovered in deep blue Clarence House linen. 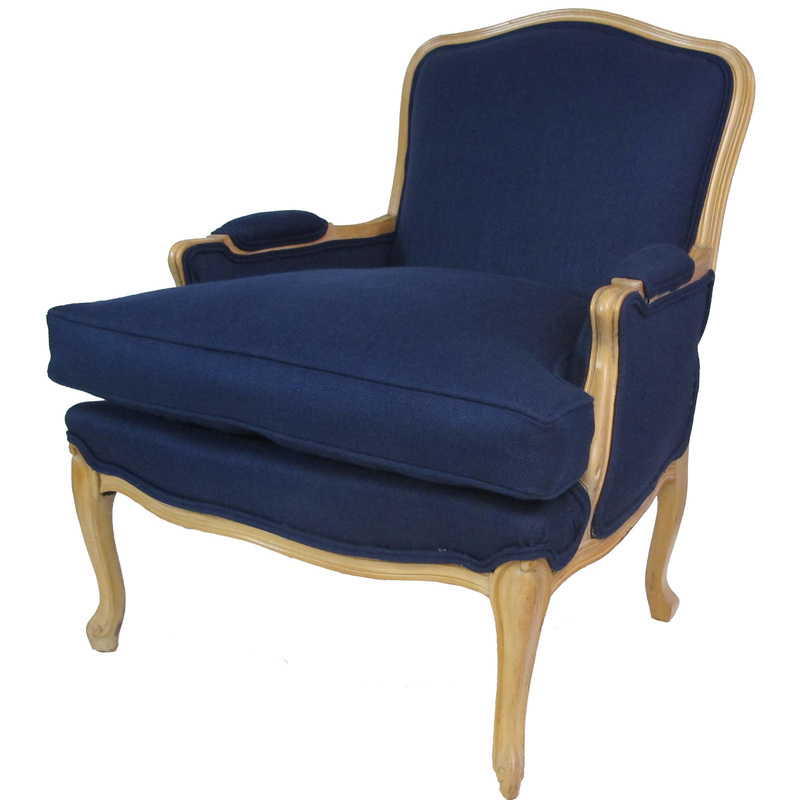 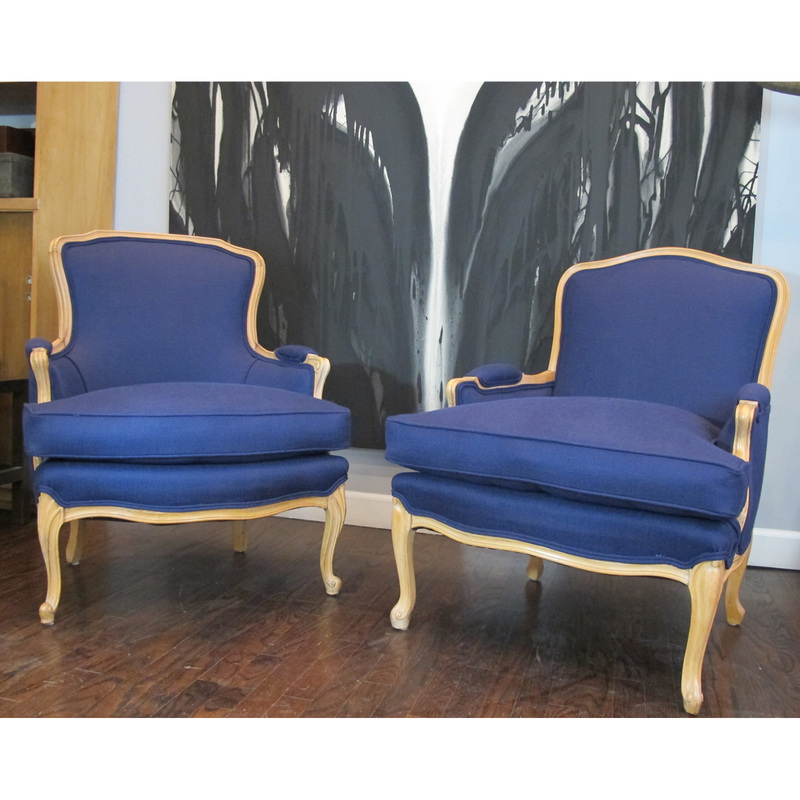 Similar armchair available, as shown in last image. 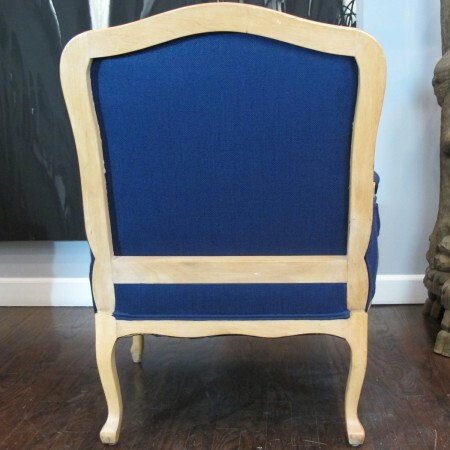 Price is for this single chair.